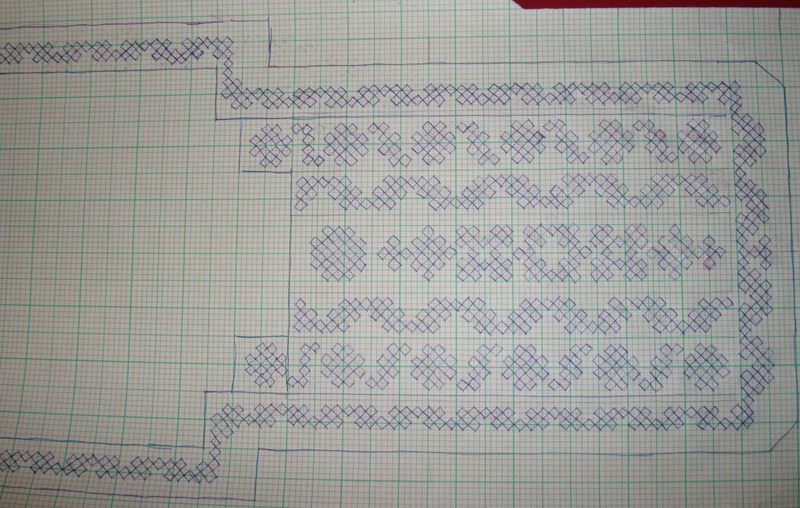 Before working the mirrors and the stones, the outlines have to be dealt with. 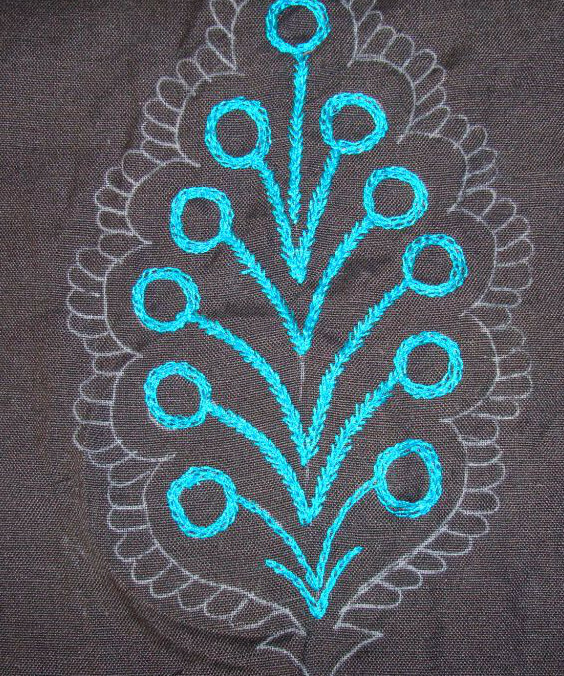 The outline for the stones were worked in back stitch. 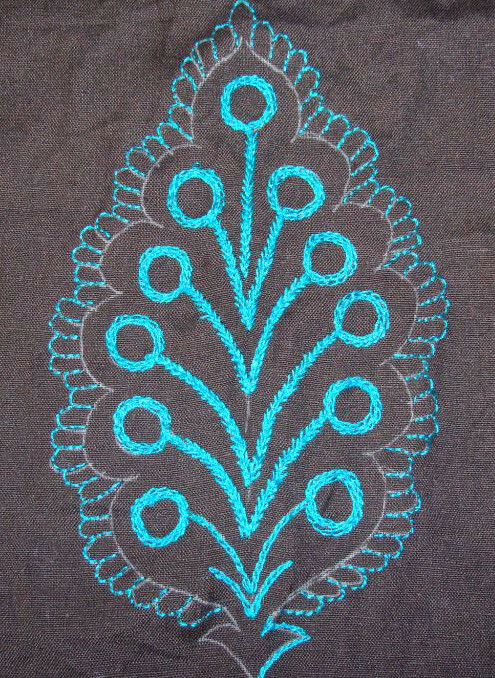 After working the chain stitch outline, the mirrors were stitched on to the motif. 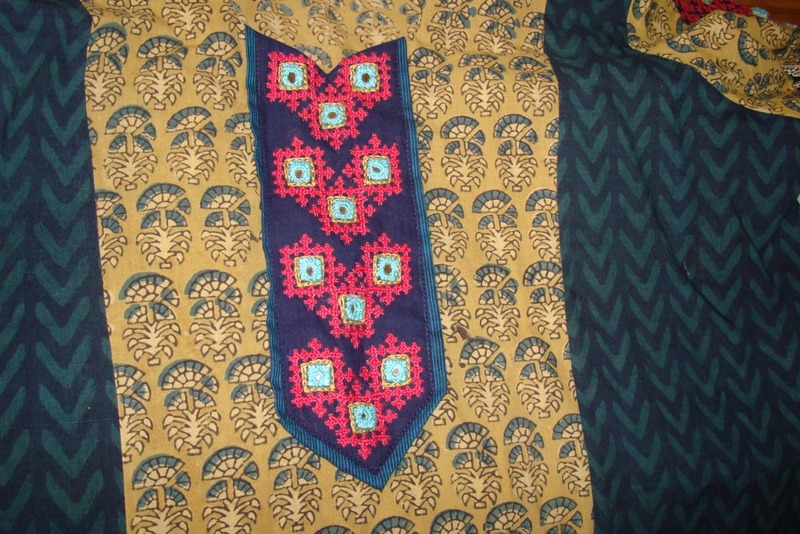 Generally I don’t instruct the tailor on neck patterns, so this was his choice. 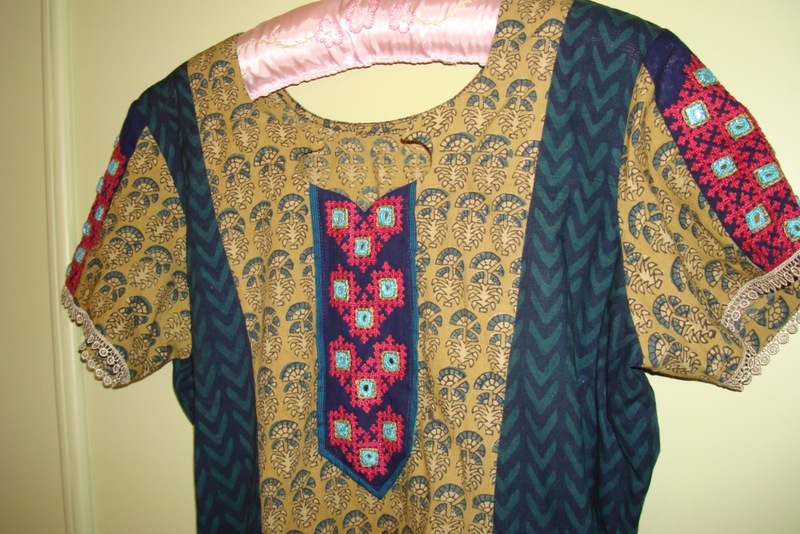 I placed the sleeves beside the motif, while taking this picture. 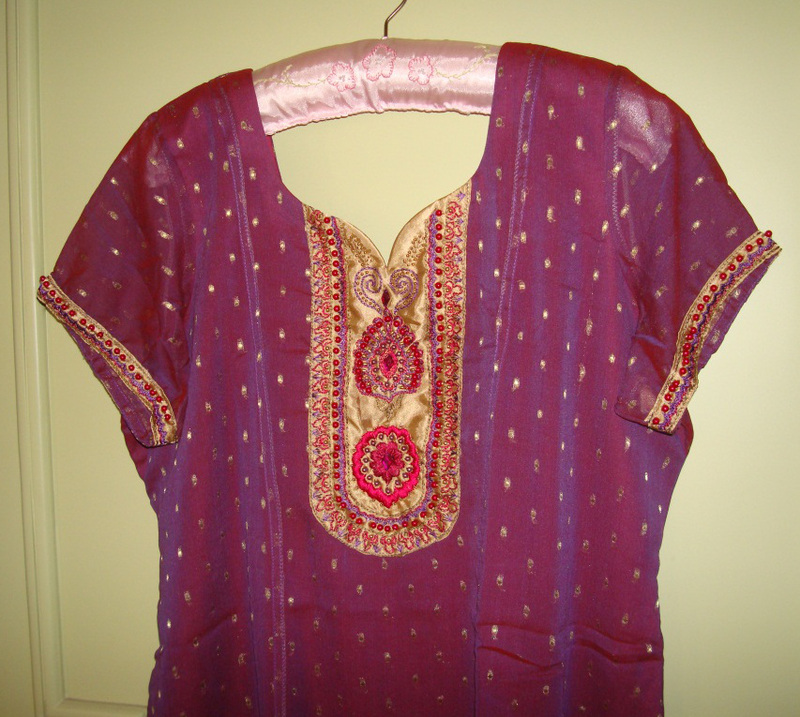 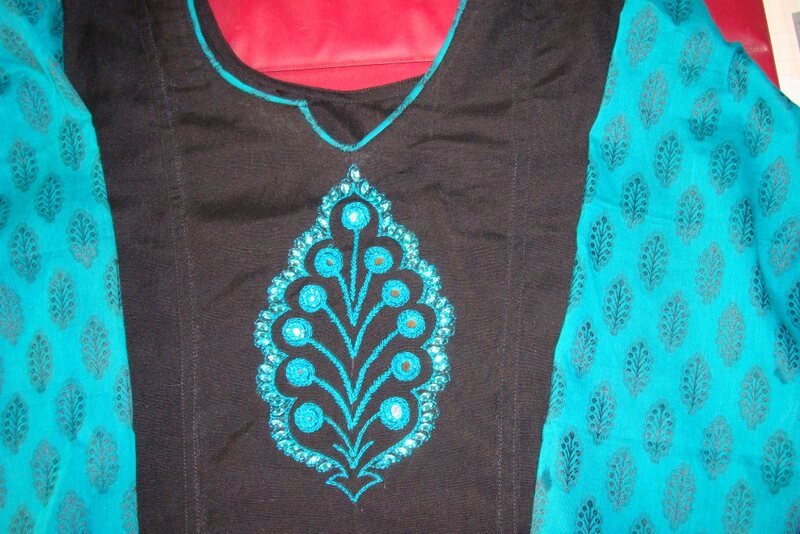 I wear a black salwar or blue leggings with this tunic. 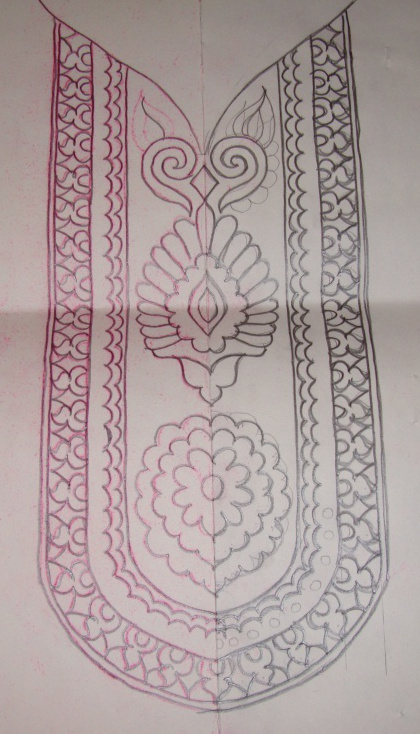 I drew a medium sized motif from the print of the sleeve fabric. 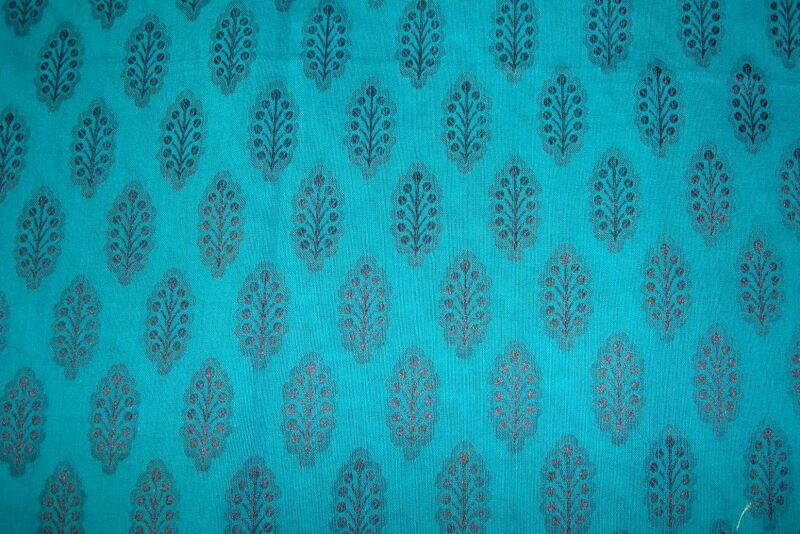 The idea was to work the motif in one colour-the sleeve fabric colour-blue. 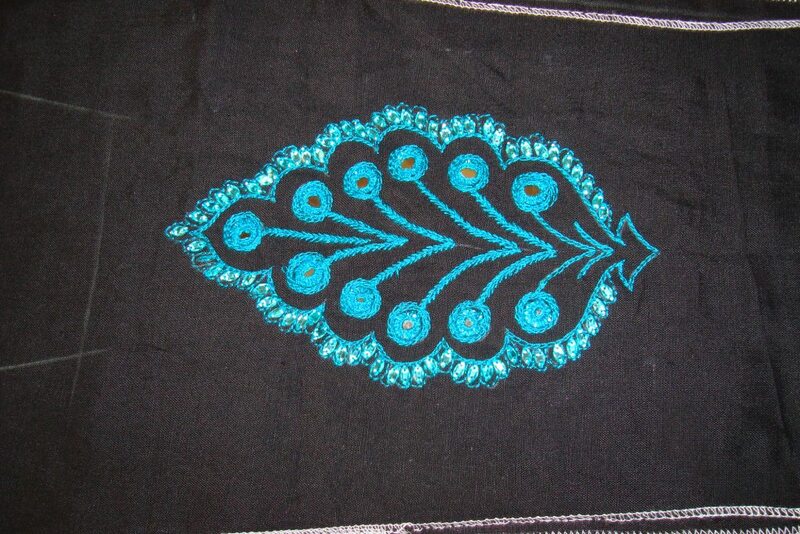 The mirrors worked with the same thread and the stones were also blue. 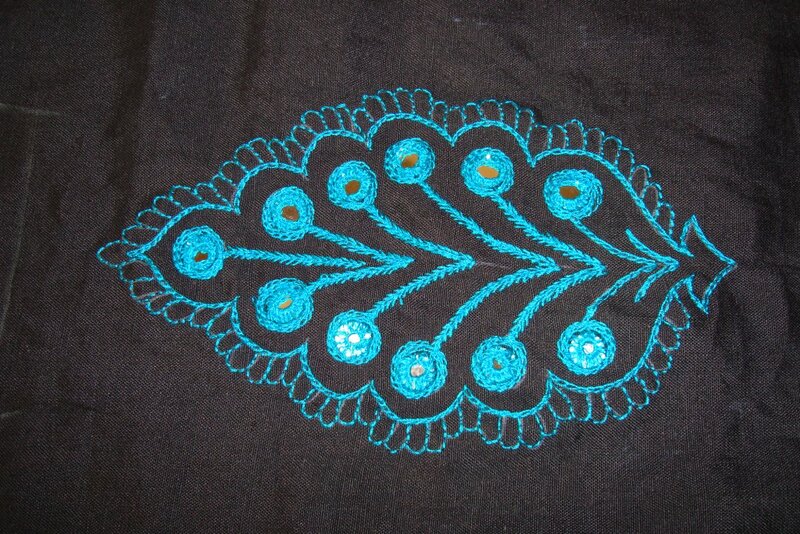 Started with the feather stitch variation and chain stitch outlines for the mirrors. 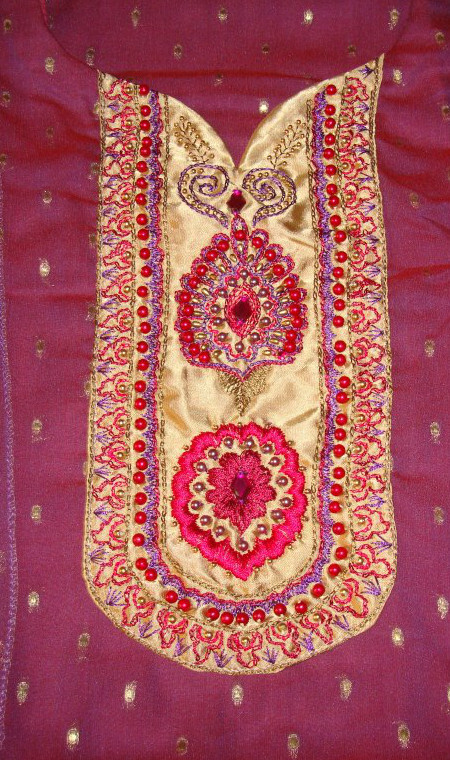 The colour of this georgette fabric is a mixture of maroon and dark blue. 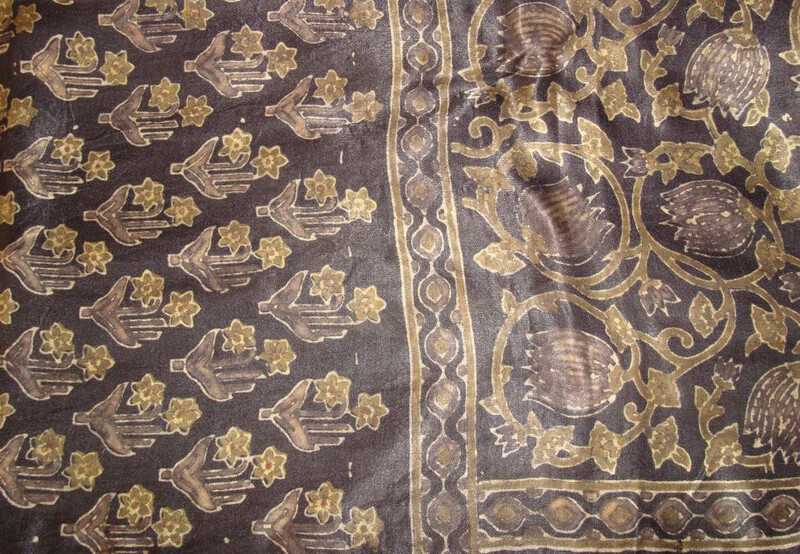 Because of this it looks like violet. 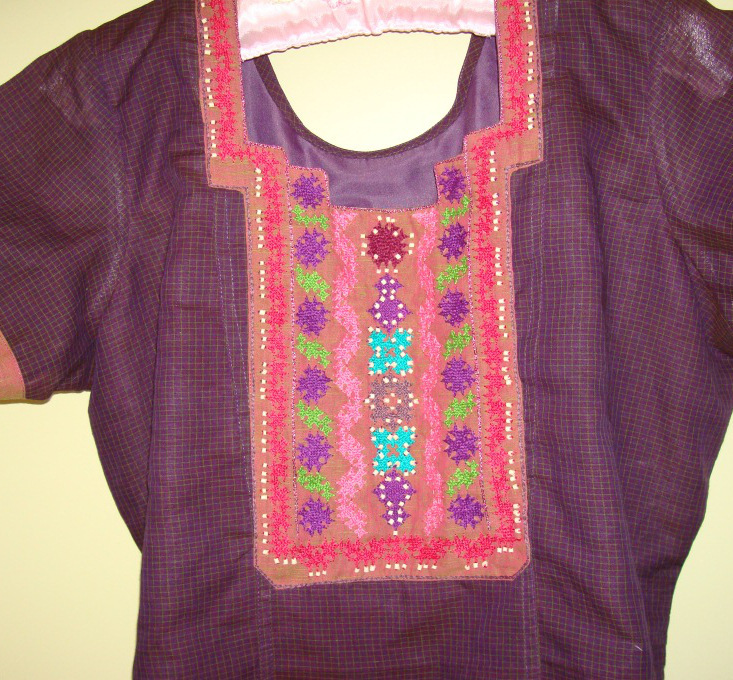 But the colour varies under different lights. 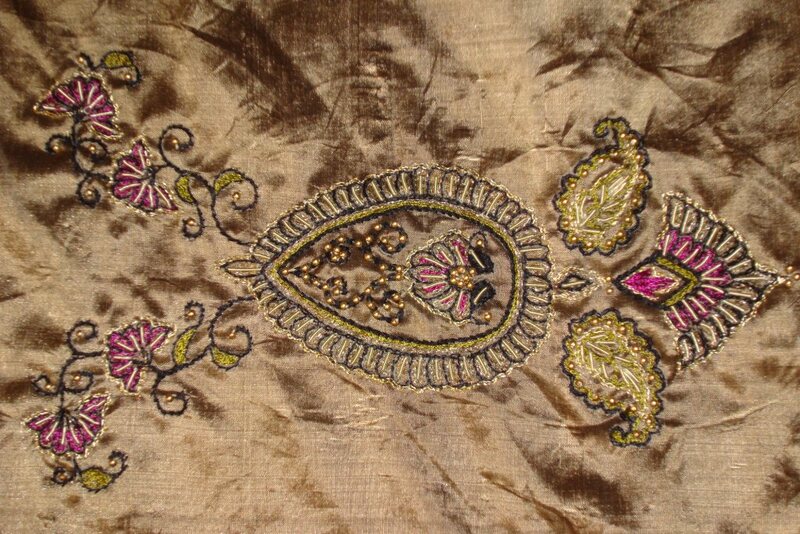 It has zari dots all over. 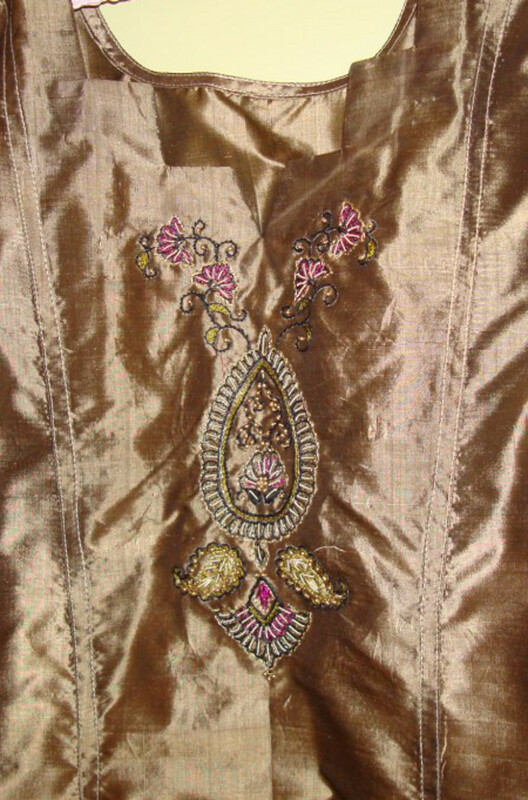 I felt, to embellish this tunic, metallic gold was vital. 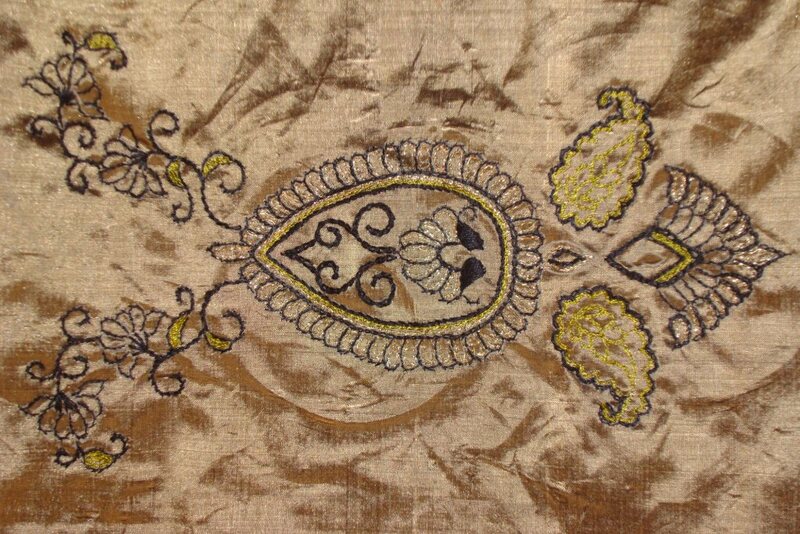 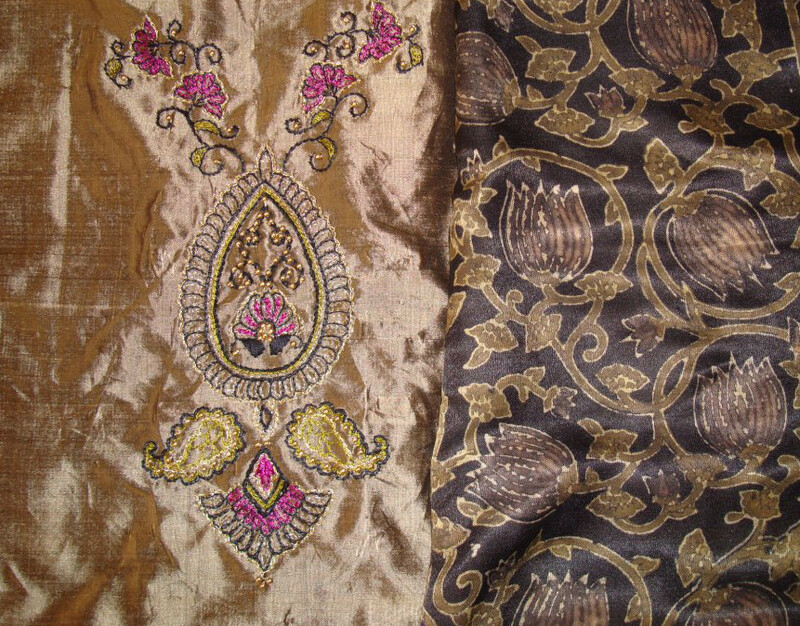 Instead of working with it, the yoke fabric was itself gold colour satin fabric. 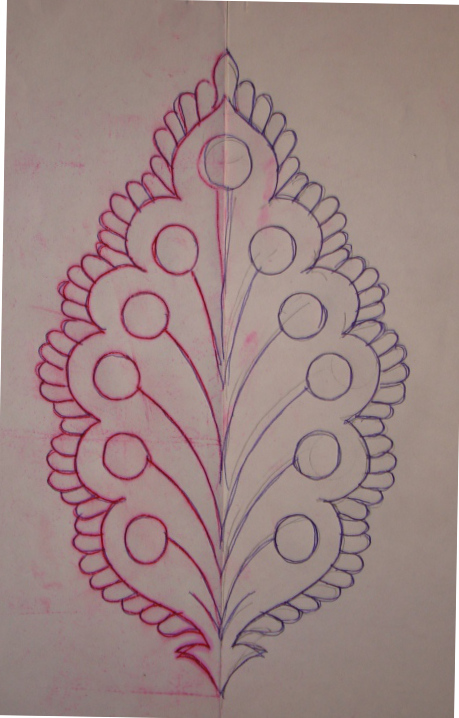 A simple traditional Indian pattern was drawn for this embroidery. 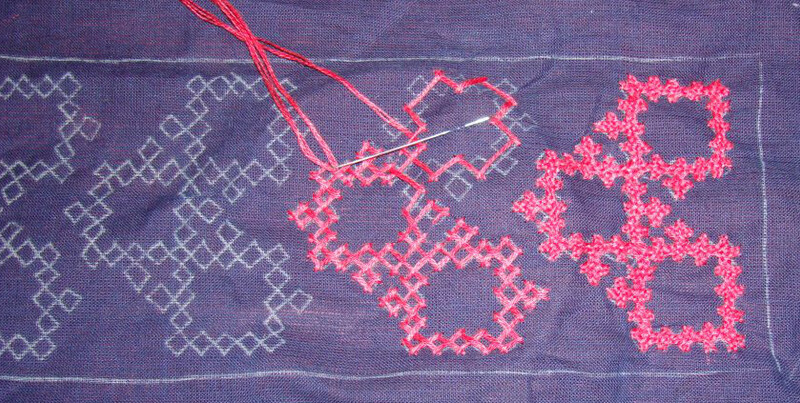 On reflection, I could have refrained from using the dark pink beads. 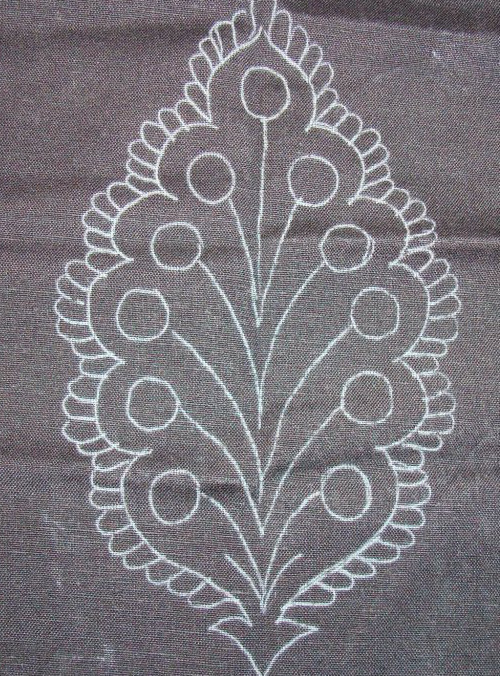 They are too big for this work with silk threads. 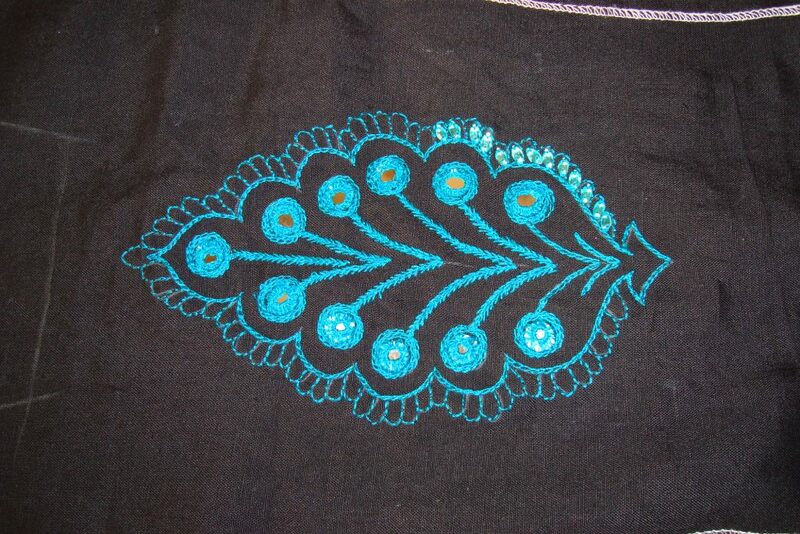 They are really popping out of the embroidery. 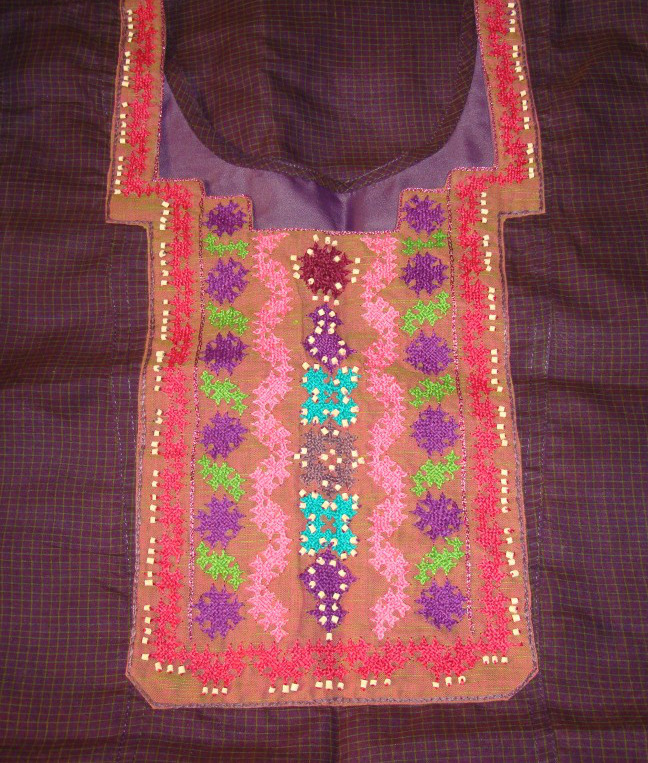 It was done in the last leg, when I was keen to finish the work, rather than search for other suitable embellishments. 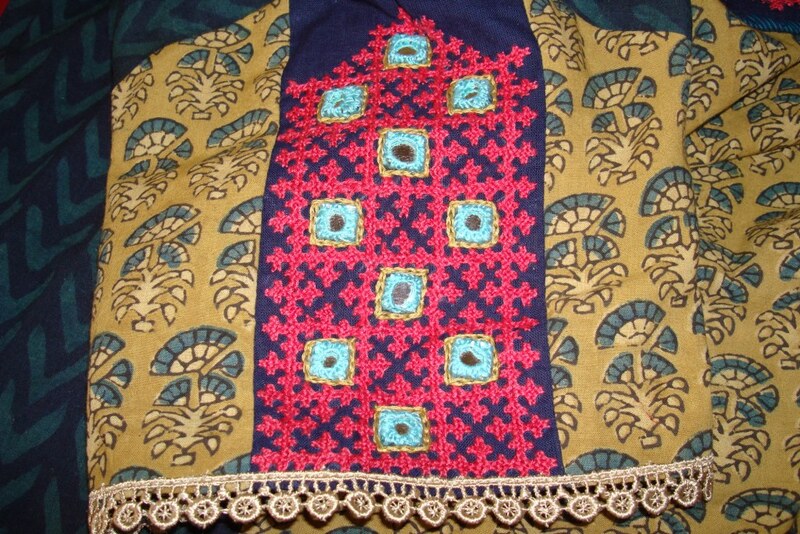 This tunic being quite festive looking, maybe I can wear a net dupatta [scarf] to subdue the effect. 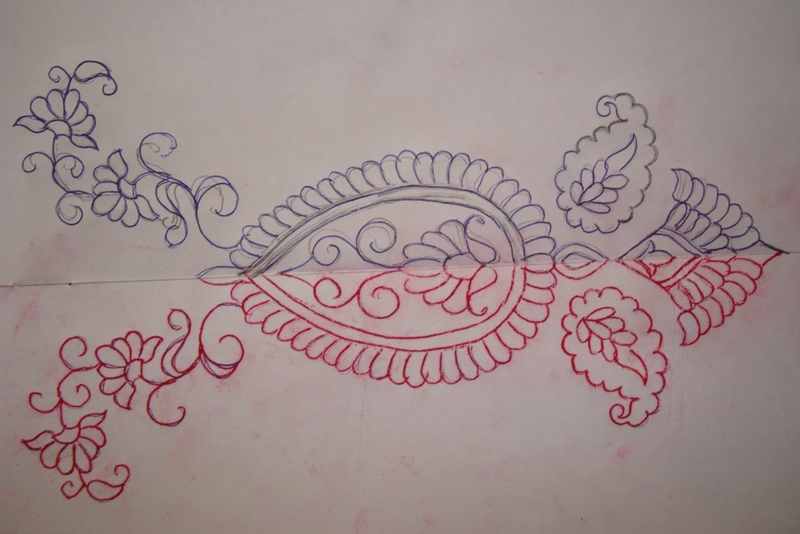 And I learnt a lesson.